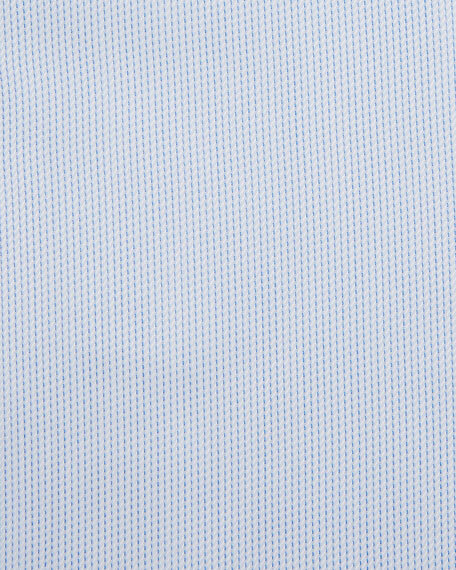 Ermenegildo Zegna Trofeo® dress shirt in pencil stripes. 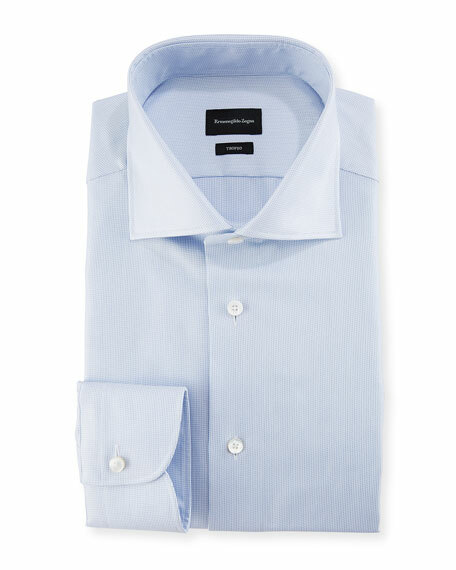 Ermenegildo Zegna 100fili dress shirt in tonal stripes. Peaked collar; mother-of-pearl button front. French cuffs. Cotton. Made in Switzerland of Italian materials. Model's measurements: Height, 6'2"/188cm, Suit 40L, Shirt 14.5x35, Waist 32"/81cm, Inseam 33"/84cm. Brioni dress shirt in stripes. Spread collar; French-placket button front. French cuffs; cuff links not included. Shirttail hem. Cotton. Handmade in Italy.